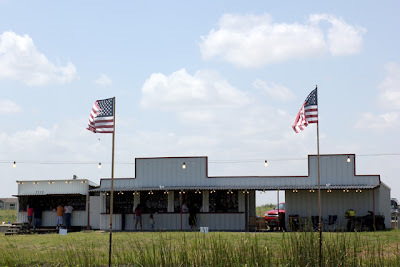 Of course, we passed quite a few other stands as well on our drive out to enjoy lunch with my parents on the Fourth. Now I'm on the lookout for the other 19 items on Rinda's list! Great pictures Melissa...I remember seeing those roadside firework sellers ,when we were in Dallas over this period in 2009! What a fun scavenger hunt! You're really able to cross this one off the list! 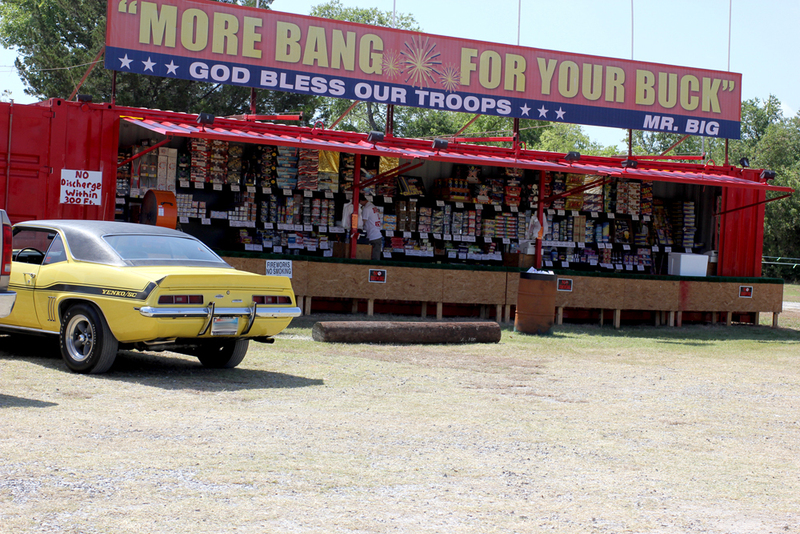 This reminds me of a permanent fireworks stand on the road outside of Chattanooga TN. I would pass it every time I drove to Florida. 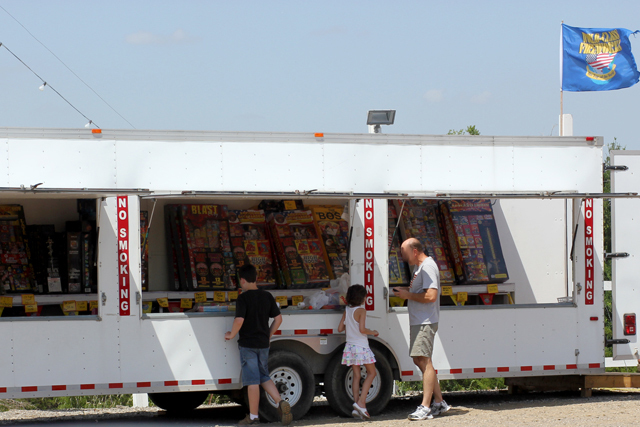 I always wondered, do people really buy fireworks in March? LOL. I wouldn't think it would be too profitable 365 days a year. great photos Melissa, we have fireworks over the sea all through the summer, you get fed up with it by September! This definately wouldn't be one you'd find in the UK....although fireworks can be sold all year....it's only in certain shops. I was just going to say what an unusual way to sell fireworks!! 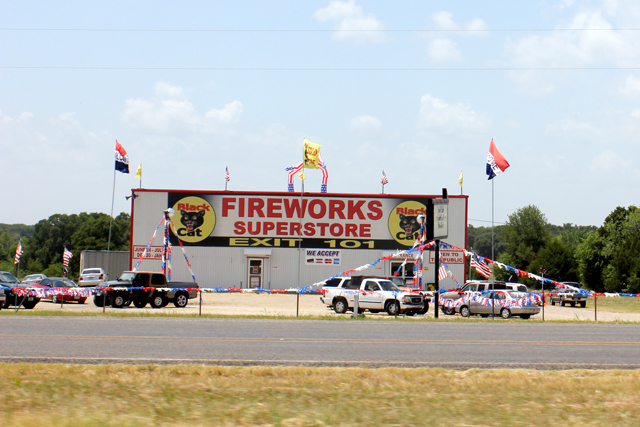 I wish the sale was equally restricted in the UK - and that the display-style fireworks were properly licensed! 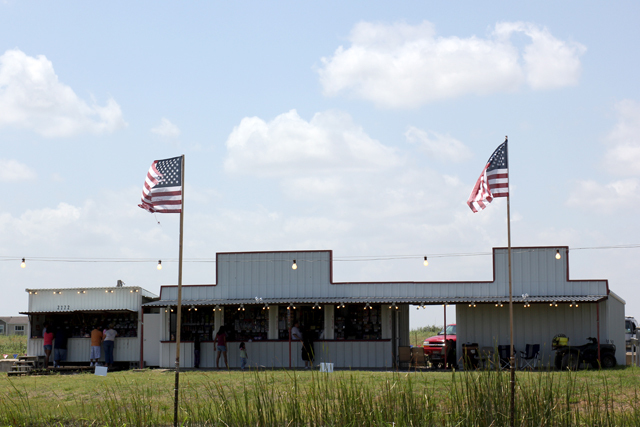 Hope you had a great 4th July trip! 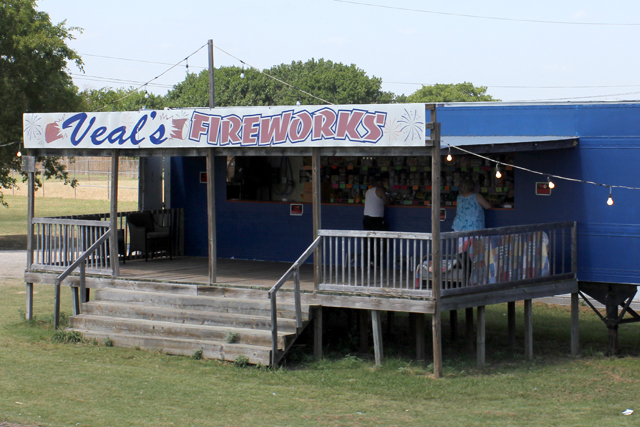 Darn, I never even thought of firework sellers as roadside stands. Of course they are! I was looking for the farmer's produce stands and haven't found one yet. Looks like I missed my chance for the fireworks--they've all folded up and left now. Great set of photographs and I love the More bang for your Buck title. Never seen these stands before so thank you for showing them. 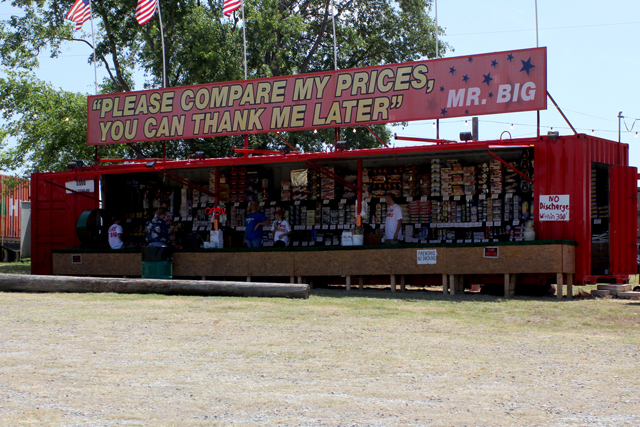 Haven't found my roadside stand yet, got to keep looking! I adore this! Don't tell anyone but it may be my favorite of the finds so far. I love fireworks stands and fireworks in general - great job! Although we can buy fireworks anytime over here in the UK, you would never see them on sale by the side of a road! Only certain shops can sell them and they have to be locked away and you have to be a certain age to buy them. November 5th is our big firework day when we celebrate Guy Fawkes day. It's illegal to sell fireworks in New York so I'd have to go to Pennsylvania to find one of these! Those sort of stands pop up here in Nov in time for fireworks day on the 5th. Will ahve to find something else to picture as can't wait until Nov!